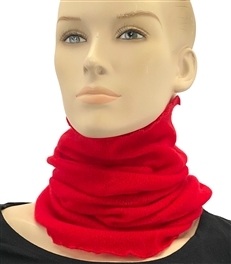 More and more cashmere lovers are discovering the comfort and style of fashionable neck tubes. The Pashmina Store is pleased to bring our customers these celebrated fashion accessories at a great value. 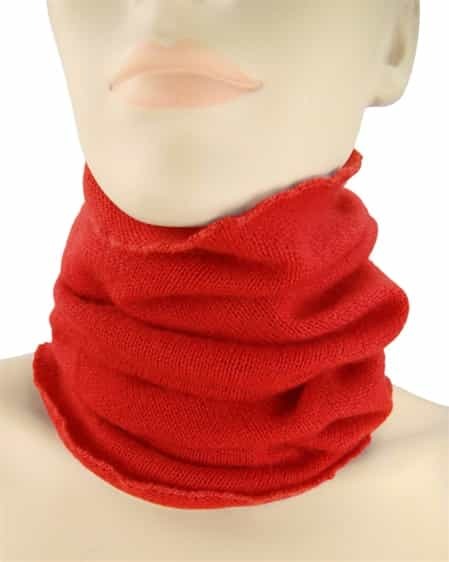 Seamlessly knit using 4 Ply cashmere yarns, our slip on style neck warmers are wonderfully snug to help keep you warm. This beautiful vibrant Red cashmere neck warmer is a generously sized 8"x24" so you'll have plenty of size to experiment with and discover your favorite ways to wear it. Free standard shipping! Expedited shipping available!